What is the first thing you do when you enter your brand new hotel room? If you’re kind the guy that starts to crave for cup of good coffee, we’re here to help you. We compile this list of best hotels with best coffee – our ultimate favourite things combined – travel&coffee. New York is no doubt home to some of the best coffee shops in the world. Long-anticipated Stumptown Coffee Roasters was recently opened in the Ace Hotel, one of the hottest hotels in NYC. Not only is it perfect place to pickup your morning cup of perfectly brewed, reasonably priced, direct trade coffee on the go, but the lobby is a perfect place to sit and enjoy your coffee solo, with a friend, or a business associate. Stumptown Coffee Roasters, named Food & Wine Magazine’s Best Boutique Roaster, is an internationally recognized roastery founded in Portland, OR, with several cafés on the West Coast serving some of the best fresh coffee and espresso in the world. Their café at Ace Hotel NYC is their first on the East Coast. Obsessed with quality and fair trade, they insist on roasting their hand-selected coffee onsite. Stumptown believes in the social, environmental, and economic benefits of sustainable business practices, supporting coffee farms that are committed to the wellbeing of their workers, land, and water. If you’re seeking a Starbucks inside hotel – we have great tip for you. If you’re heading to Las Vegas, consider trying Hard Rock Hotel / there is a Starbucks inside! Another New York location for great coffee. Crosby Street Hotel is only few blocks off from Ithaca-based Gimme! 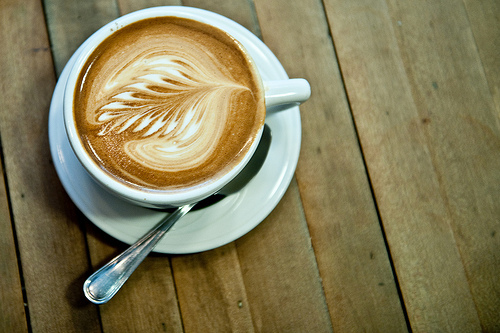 Coffee which has been counted among the city’s best coffee bars since it arrived in new York in 2003. The baristas balance the espresso with expertlyh steamed milk for an intense, rich cappuccino. Gimme! Coffee recentlys tarted offering single-origin coffee brewed by cup. Next Next post: Starbucks with new logo?